We are so excited about the Dude Ranch. May of 2018 was our first visit to the guest ranch and we were beyond impressed … and committed instantly to returning year after year. The ranch grounds are impressive and the food was beyond fabulous. All locally grown and professionally prepared, then served buffet style by the staff and ranch hands who welcomed us with open hearts and arms. 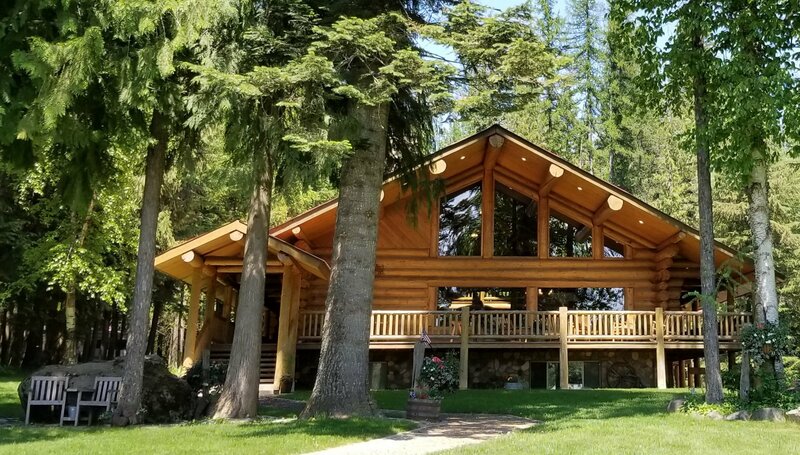 The ranch is located just outside the historic town of Sandpoint Idaho and Lake Pond Oreille where you will find breathtaking surroundings amidst the serenity of nature. Views of the Selkirk Mountains will inspire you along with warm hospitality from the 7th generation ranch owners and staff. Sign up early as our retreats fill quickly. To make it easy to budget, we offer an installment plan, at no extra charge, that begins January 2019 and ends in June 2019. The cost is $789 and includes hot tubs, hiking trails, horse shoe pits, campfires, professional quilting instructions, games, farm-to-table fare, local quilt shop visits and of course the week-long class. We will have a planning meeting with all lucky participating quilters to talk about travel plans and all the details.